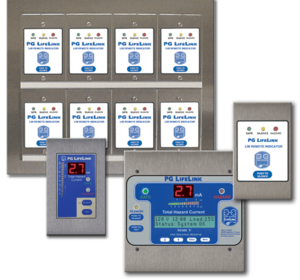 PG LifeLink offers a line of Isolated Power Panel Accessories to complete your Isolated Power System. Including accessories in a patient/procedure room helps to create a convenient and easy to use Isolated Power System. Accessories include Remote Annunciators, Power Ground Modules and Receptacles, Laser and X-ray Outlet Modules and Digital Clocks and Timers. Used for remote monitoring when the Isolated Power Panel is installed outside the patient/procedure room. 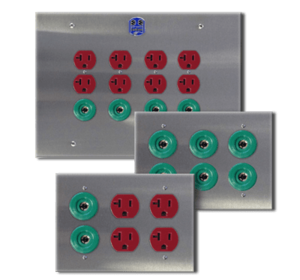 Combine equipment ground points and/or receptacles serving the same location into a common module. 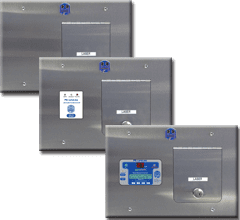 Used in conjunction with the IPD or IPL Isolated Power Panel to provide laser outlets to an operating room.